I wondered why many leaves on the avocado tree in my yard were getting brown blotches. I carefully shook some leaves over a large plastic dish. 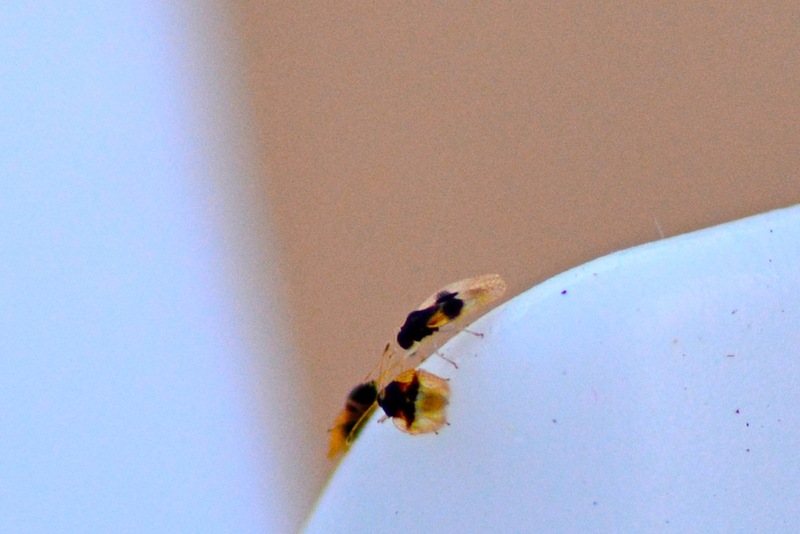 Several tiny transparent insects started crawling around the dish and I took some photographs. They turned out to be Avocado Lace bugs, Pseudacysta perseae. 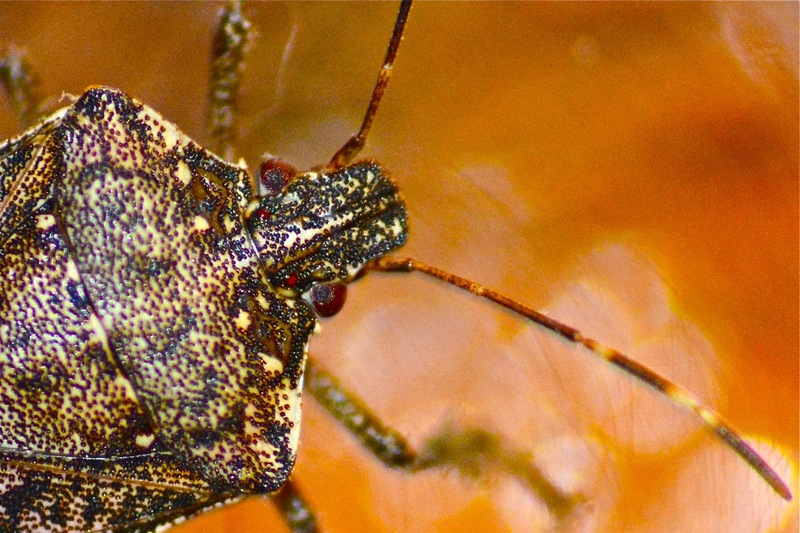 Avocado Lace Bugs occur in parts of the Caribbean, Mexico and Southeastern United States. These pests are still rare in California except San Diego where they cause problems for those of us who love to grow our own avocados! 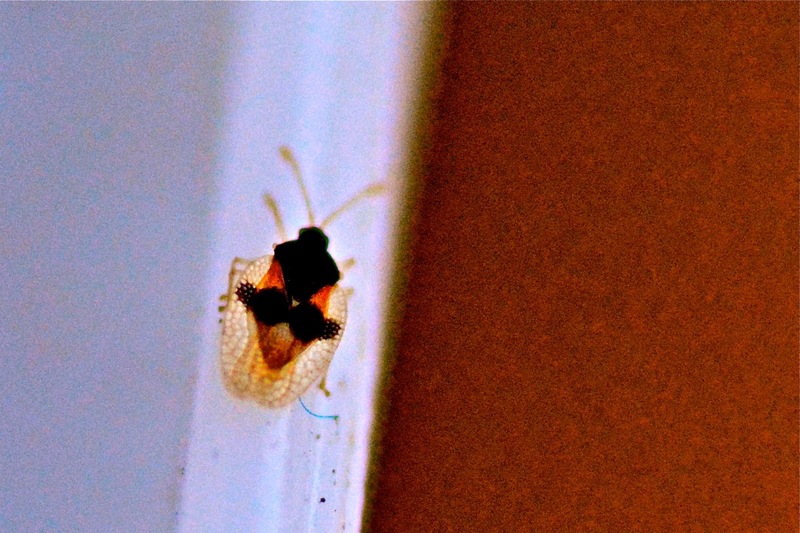 Then I found a shield bug crawling on a light in the kitchen. So, of course, I could not resist catching it and taking several photographs. When I looked it up and identified it I was not so happy. 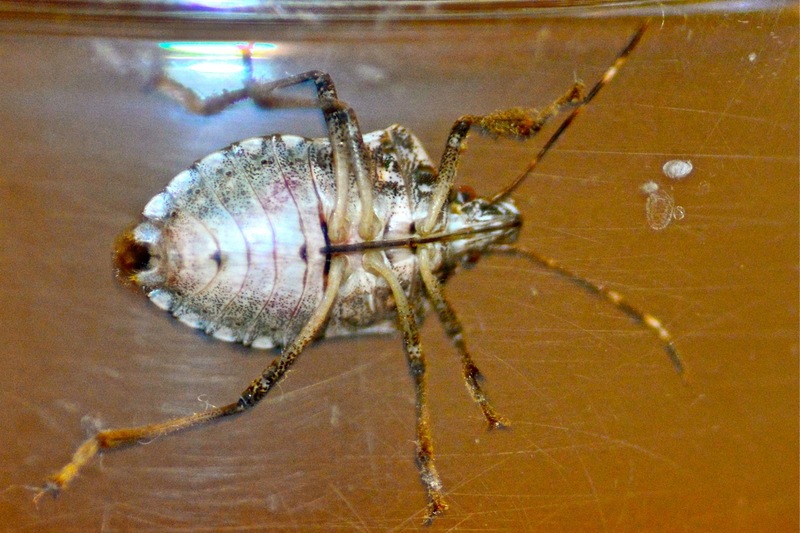 It was a Brown Marmorated Stink Bug. 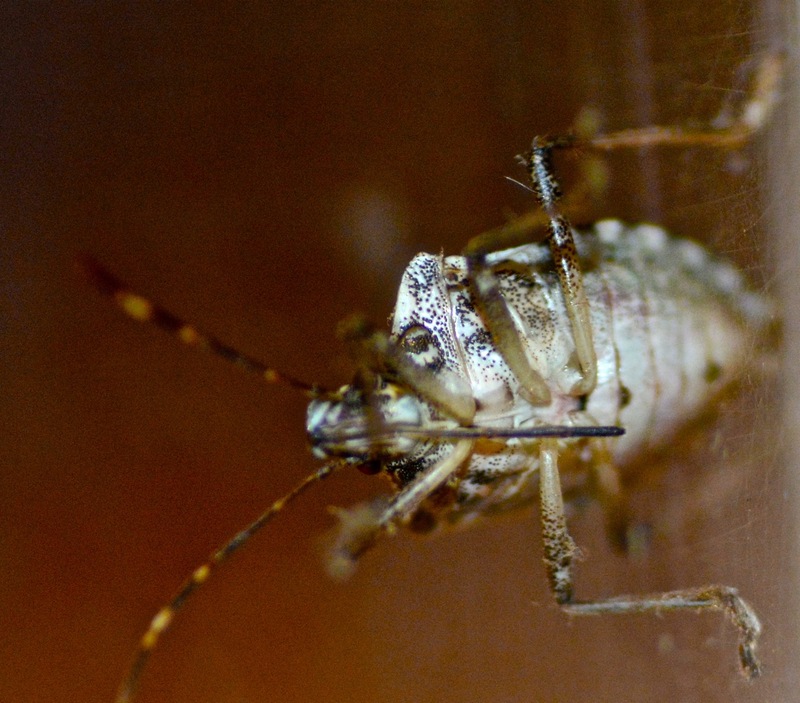 Although it looks similar to some native bugs it is an invasive species from China, Korea, Japan and Taiwan. This shield or stink bug was accidentally introduced in to the States around 1998. 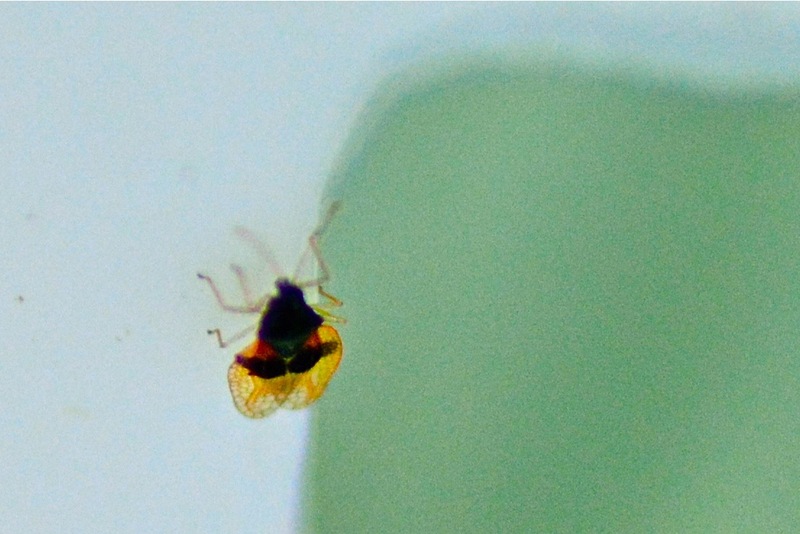 It was officially declared an agricultural pest in the US around 2010 and has only just reached San Diego. They like to overwinter in houses and it is not a good idea to upset them as they can give off a strong odor that stays around for ages! Image | This entry was posted in environment, General, insects, Nature, outdoors, photography, San Diego and tagged Avocado, environment, Flora and Fauna, Insect, Insects, invertebrate, nature, outdoors, San Diego. Bookmark the permalink. 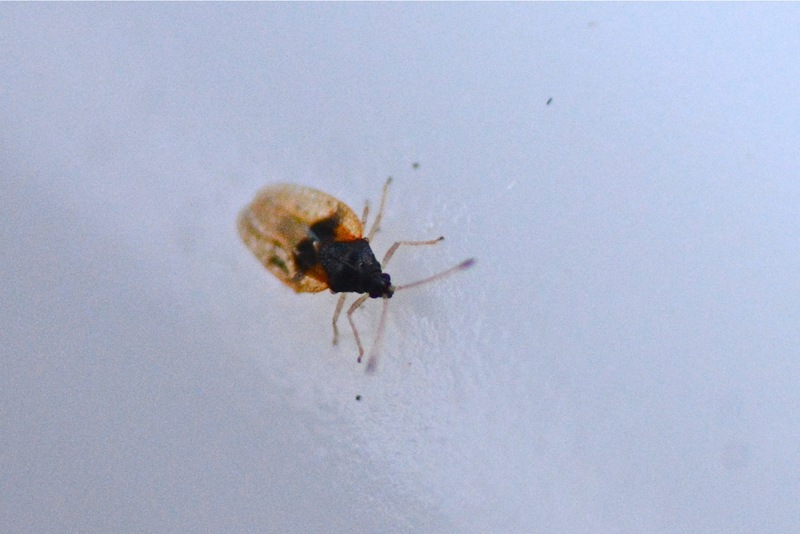 Well, not a good day for bug finds but your photographs are great. 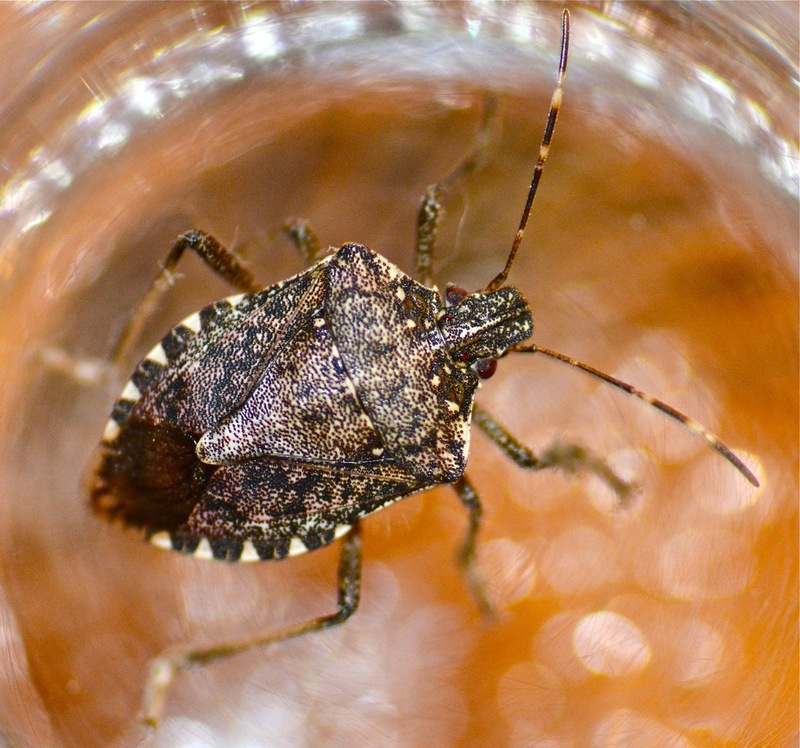 The stinkbug is quite nice looking and probably well camouflaged when outside where it should be.